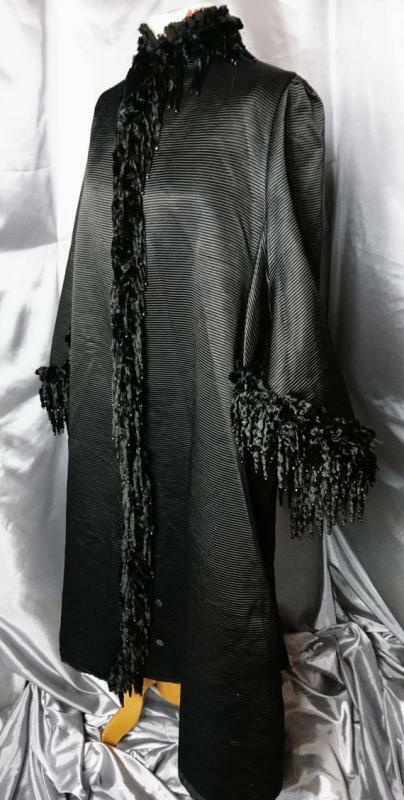 An absolutely excuisite Victorian mourning coat with dolman sleeves, adorned with velvet and real jet beads. This decadent and rich inky black mourning piece is a museum worthy piece, so expertly put together from the finest of materials. 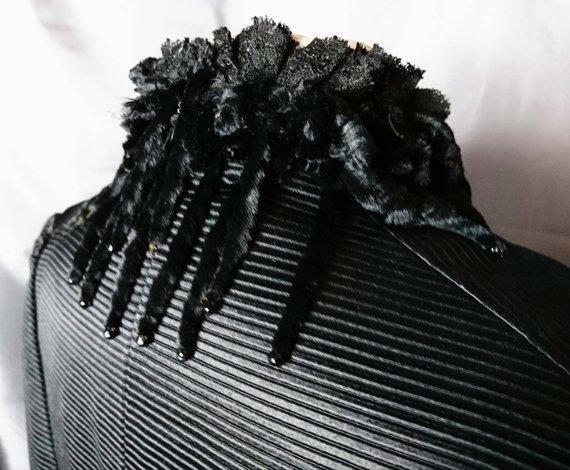 It is made from a very heavy thick ribbed silk bombazine which was a popular fabric for mourning wear of the period, it has a short collar crafted in black lace, with tiny black glass bead detailing around the neckline. 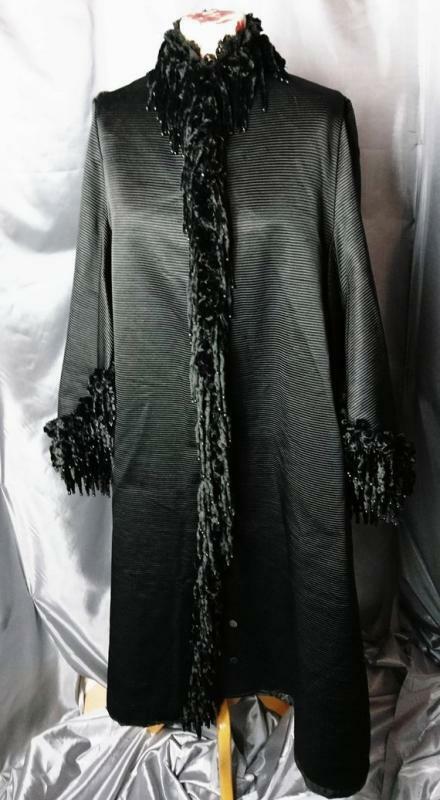 It has a beautiful crushed silk velvet tassle fringing that adorns the collar the front closure and the fantastic dolman sleeves, the velvet tassles have jet beads attached to them and it gives the fringing a lovely shimmer. 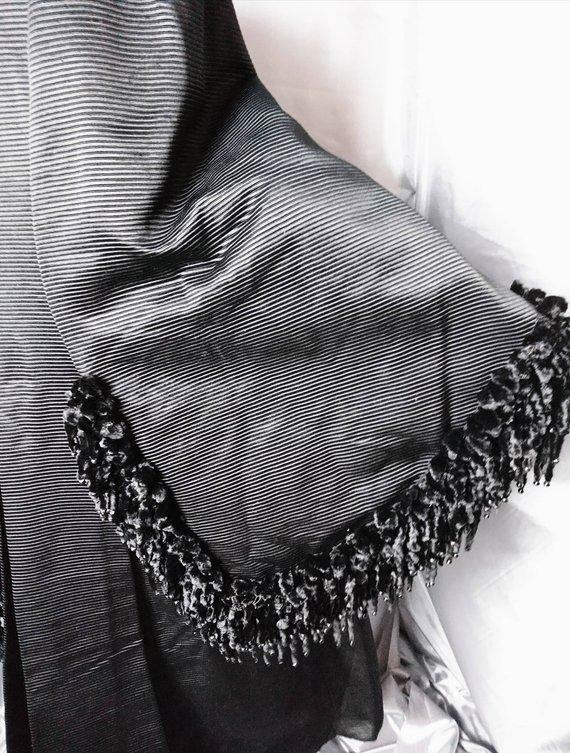 It has a huge back pleat that lets out the coat for those fantastic skirts. 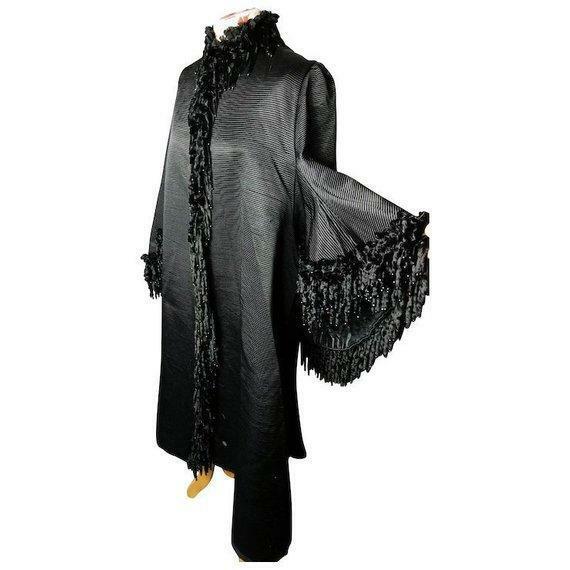 Fully lined this is a most fine example of the Victorian mourning period and some of the wonderful garments produced as a result of Queen Victoria's mourning for her dear Albert. The entire piece is in very good antique condition, there is a small scratch about an inch width on the shoulder its not a tear or rip just a scratch across the grain, a slight whitish scuff area at the bottom and a few tiny missing beads of jet but this is not noticeable unless very closely inspected, other than that it is unbelievably good. 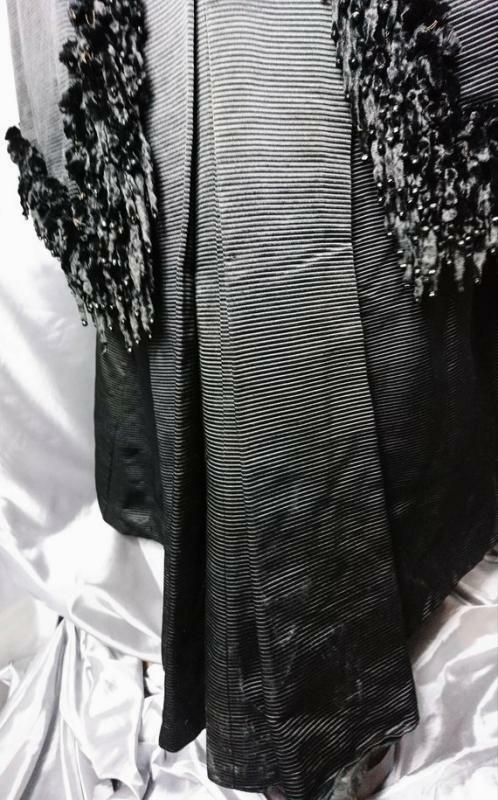 It is very old and will require very specialist cleaning, it has not been cleaned by us, it is very heavy and will require a larger parcel, it is also heavy to hang and wear. 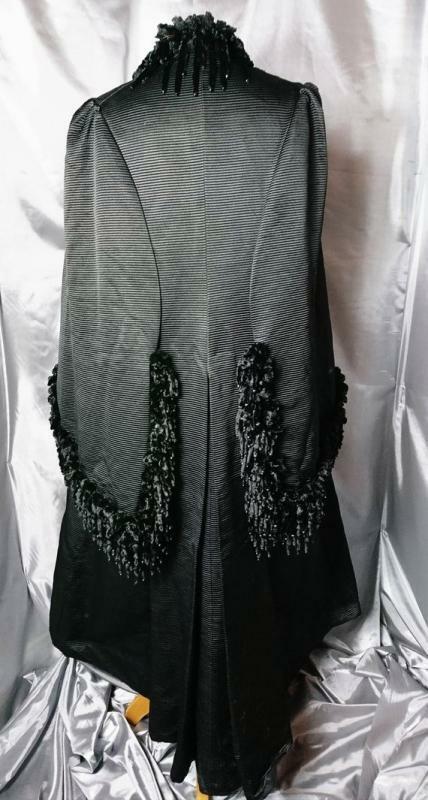 A beautiful piece and a rare opportunity to own an authentic museum worthy Victorian coat. Labelled for Evans Richardson and Co, London Road, Liverpool. Due to the nature of these garments waist and hip measurements are not really a relevant or accurate measurement however measurements have been provided below and if you require any further measurements or images then please get in touch.